VietPress USA (Oct. 11, 2018): Today on Wednesday, Hurricane Michael deadly smashed into Florida's northwest coast near the small town of Mexico Beach with screeching 155 mile per hour (250 kilometer per hour) winds, pushing a wall of seawater inland. Michael was the one of the most powerful hurricane ever to make landfall in the U.S. mainland. The storm has been blamed for at least six deaths. State officials said 285 people in Mexico Beach had defied a mandatory evacuation order ahead of the storm. Tropical Storm Michael is speeding off toward the Atlantic Ocean, but there will be nothing quick about Florida's recovery, where rows upon rows of homes have been smashed to pieces. The storm also has brought flash flooding to hurricane-weary parts of North and South Carolina and Virginia. As of Thursday evening, more than 900,000 homes and businesses in the Southeast had no electricity. 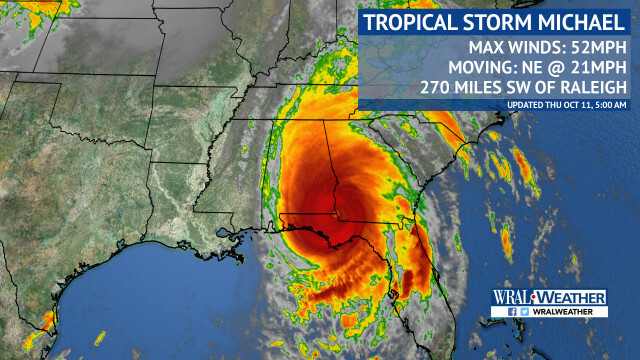 Michael hit North Carolina and South Carolina as a tropical storm with heavy downpours and was threatening to cause tornadoes. 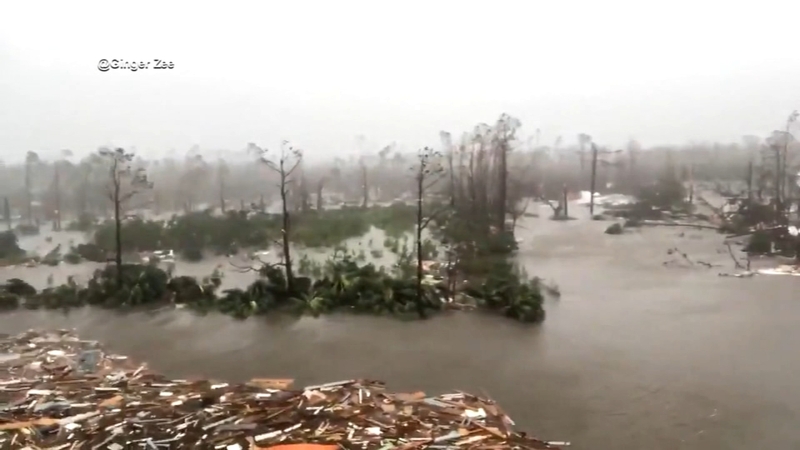 PORT ST. JOE, Fla. (Reuters) - Dazed Florida residents picked through the wreckage left by Hurricane Michael on Thursday after the near-record-force storm tore apart coastal towns and was blamed for seven deaths. Michael smashed into Florida's northwest coast near the small town of Mexico Beach on Wednesday with screeching 155 mile per hour (250 kilometer per hour) winds, pushing a wall of seawater inland. "The wind was really tearing us apart. It was so scary you’d poo yourself,” said retiree Tom Garcia, 60, who was trapped inside his Mexico Beach home as water poured in to waist height. He and his partner Cheri Papineau, 50, pushed on their door for an hour to stop the storm surge bursting in as their four dogs sat on top of a bed floating in their home. The beach town looked like it had been carpet bombed, with little left in the first blocks from the beach. Further inland, about half the homes were reduced to piles of wood and siding. Helicopters flew overhead looking for survivors as bulldozers plowed paths along roads filled with shredded homes. Cheryl Shipman, 72, pointed to a few broken red wooden boards, saying "this used to be my three storied house." Michael, the third most powerful hurricane ever to hit the U.S. mainland, weakened overnight to a tropical storm. But it marched northeast, toppling trees with 50 mph (80 kph) winds and bringing "life threatening" flash flooding to areas of Georgia and Virginia, still recovering from Hurricane Florence. Virginia declared a state of emergency in advance of the storm. Many of the injured in Florida were taken to hard-hit Panama City, 20 miles (32 km) northwest of Mexico Beach. Gulf Coast Regional Medical Center was treating some, but the hospital evacuated 130 patients as it faced challenges of running on generators after the storm knocked out power, ripped off part of its roof and smashed windows, a spokesman for the hospital's owner HCA Healthcare said in an email. Buildings in Panama City were crushed, tall pine trees were sent flying and a steeple was knocked off a church. At the city's Jinks Middle School, the storm peeled back part of the gym roof and tore off a wall. A year ago the school welcomed students and families displaced by Hurricane Maria in Puerto Rico. 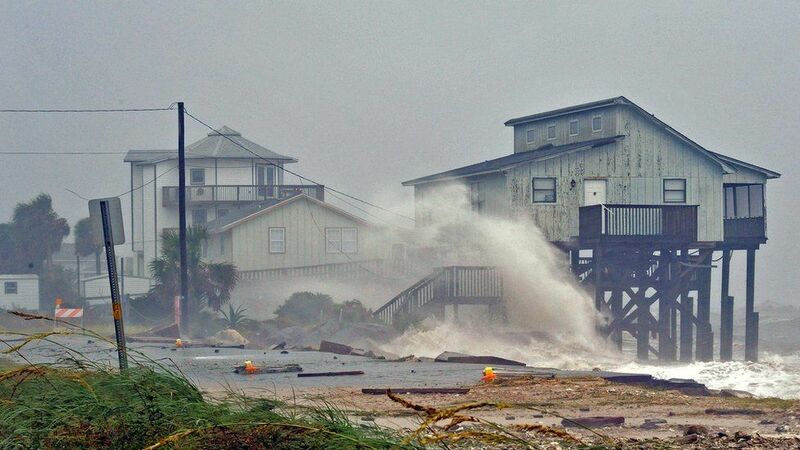 Fast-moving Michael, a Category 4 storm on the five-step Saffir-Simpson hurricane scale when it came ashore, was about 20 miles (35 km) northwest of Raleigh, North Carolina, at 5 pm EDT (1900 GMT) and set to speed up as it headed for the Atlantic coast, the NHC said. Nearly 950,000 homes and businesses were without power in Florida, Alabama, the Carolinas and Georgia on Thursday. Much of downtown Port St. Joe, 12 miles (19 km) east of Mexico Beach, was flooded after Michael hit with 155 mph winds, snapping boats in two and hurling a large ship onto the shore, residents said. "We had houses that were on one side of the street and now they’re on the other,” said Mayor Bo Patterson, who watched trees fly by his window as he rode out the storm in his home seven blocks from the beach. Patterson estimated 1,000 homes were completely or partially destroyed in his town of 3,500. Michael also disrupted energy operations in the U.S. Gulf of Mexico as it approached land, cutting crude oil production by more than 40 percent and natural gas output by nearly one-third as offshore platforms were evacuated.